Virtual Assistants: Is There Really Any Other Way? Life as a small business owner or busy professional can be very hectic. With only 24 hours in the day, it’s hard trying to be in 2 places at 1 time. There never seems to be enough time to take care your long list of projects. We can help you complete those overdue tasks and free up more time in your day or work week. 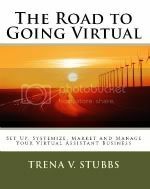 Apex Bizness Solutions is an Atlanta, Georgia based virtual assistant firm that provides a host of services for small businesses and solopreneurs. By having our virtual assistants work remotely we are able to offer our clients substantial savings. It’s our job to handle the tasks that you don’t have the time or resources available to complete.